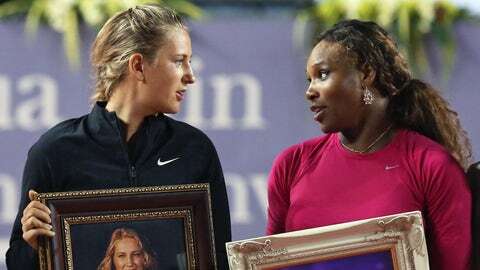 Victoria Azarenka beat top-ranked Serena Williams Saturday in an exhibition match between the world’s top two women’s players. 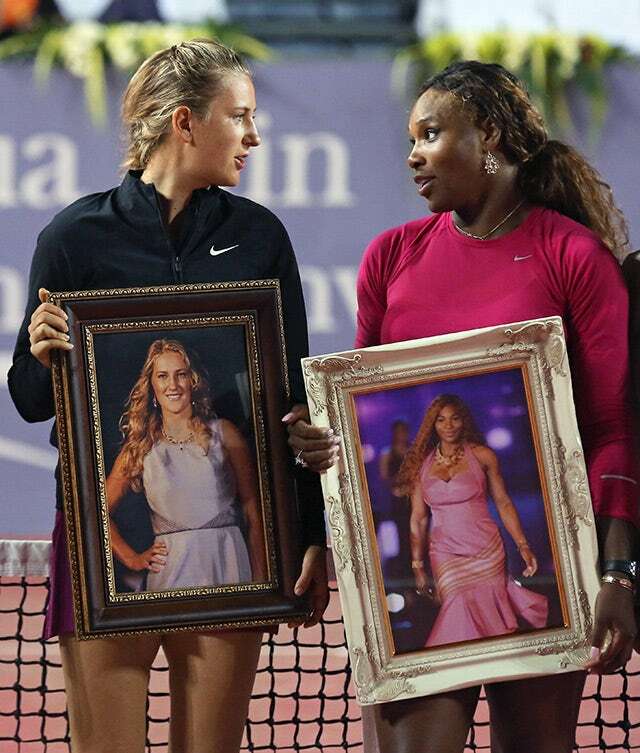 It was a tune up for the Australian Open, and the second-ranked Azarenka defeated Williams 7-5, 6-3 in front of about 3,000 fans at the Hua Hin World Tennis Invitation. What do those faces say to you? They look like they just opened Christmas gifts they didn’t want and don’t want to seem ungrateful.